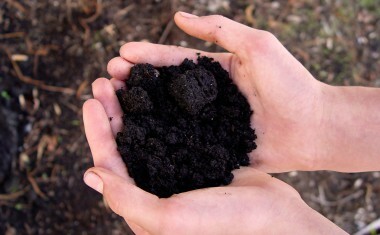 Ukraine has one of the world’s richest and most fertile soil, the so called chernozem – black earth. Almost 25 percent of the world’s black earth is located in Ukraine. Grain Alliance operates in the black earth belt. Every year Grain Alliance is improving and expanding the company’s storage facilities. Currently the company can store 162 000 tons in our 4 elevators and additional 34 000 tons in on-farm storage facilities. 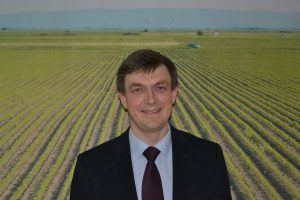 “Ukraine has the potential to become the bread basket of the world and we are trying to restore the country to this position” Alex Oronov, founder and president Grain Alliance. Grain Alliance is a progressive farm operator in Ukraine. By implementing modern technology, financial management and production methods we aim to restore Ukraine as the bread basket of the World. 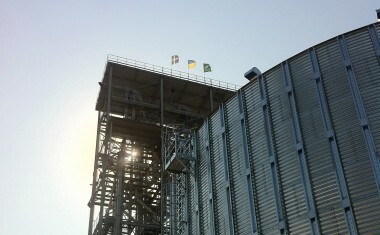 Grain Alliance is a progressive farm operator in Ukraine. By implementing modern technology, financial management and production methods we aim to restore Ukraine as the bread basket of the world, Grain Alliance has experience from nearly 20 years of successful farming, achieving yields well above the average. Currently we control around 53 000 hectares of which 51,000 hectares are cultivated, and we are continuously expanding our territory. In order to maintain long term profitability Grain Alliance has an emphasis on sustainable agriculture. Our production is oriented towards a long term perspective. A balanced mix of crops is grown, with an emphasis on crop alteration and soil recovery, thus promoting environmental sustainability. A core component in our approach is IT. Our in-house developed ERP system makes it possible to plan and control all parts of our operations in one integrated system. Our approach has proven itself to be highly efficient by generating returns above 30% per annum. To generate sustainable returns by increasing productivity and efficiency in the Ukrainian agriculture by implementing best agricultural practices, modern equipment and strict financial control. Profitability is more important than size of the cultivated area and our focus is on efficiency and returns. The head quarter is situated in Stockholm, but all operational activity is located to Ukraine. The Ukrainian head quarter is in the town of Berezan approximately 80 km from Kiev. All ownership is divided in Sweden in the holding company Grain Alliance, which in turn is the 100% owner of the Ukrainian subsidiaries. There are no intermediaries, management companies etc., instead the company is managed in a proven traditional form with an elected board and an executive management team. The goal is to have as transparent and simple structure as possible, thus ensuring accountability, transparency, fairness and simplicity with the goal of maximizing shareholder value while simultaneously adding value for all involved parties. Once again, welcome to Grain Alliance and Ukraine!